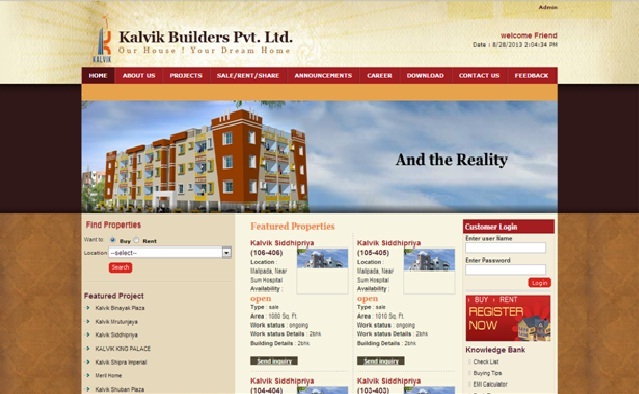 Kalvik Builders is a professional real estate and construction company located at the temple city Bhubaneswar, Odisha. This company has highly experienced professionals dedicated for quality customer services, legal documentations, best locations and proper planning. This company is a certified company committed to provide all types of housing projects like residential lands, apartments, and commercial complexes in the suitable locations of the city. This project is located at Prasant Vihar, Near KIIT University, Bhubaneswar, Odisha. This project is a distance of 1 km from Patia Big Bazar, 2 kms from Police station, 3 kms from Patia square, 500 meters from bus stop, 20 kms from Airport and nearer to many reputed offices like Infosys, and TCS. This project is located at Malipada, Near Sum Hospital, Bhubaneswar. The features of this project are approved by BDA and Banks, 24 hrs Water supply, Power back up and Security, Community hall and Open parking space.